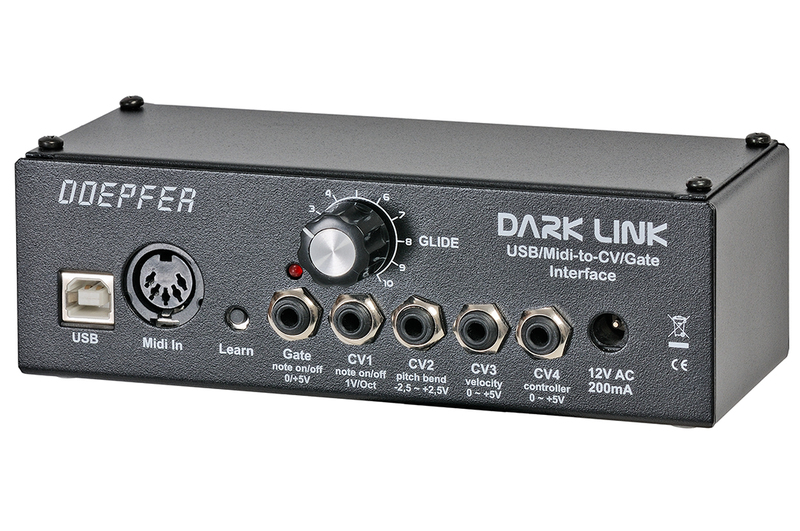 Dark Link is a Midi/USB-to-CV/Gate interface to control vintage monophonic synthesizers via Midi or USB. 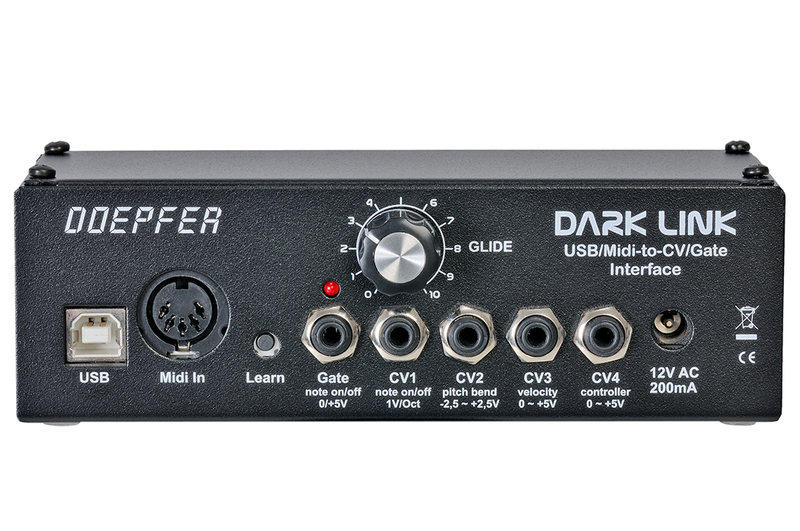 Dark Link is nothing but the USB/Midi interface of the Dark Energy. 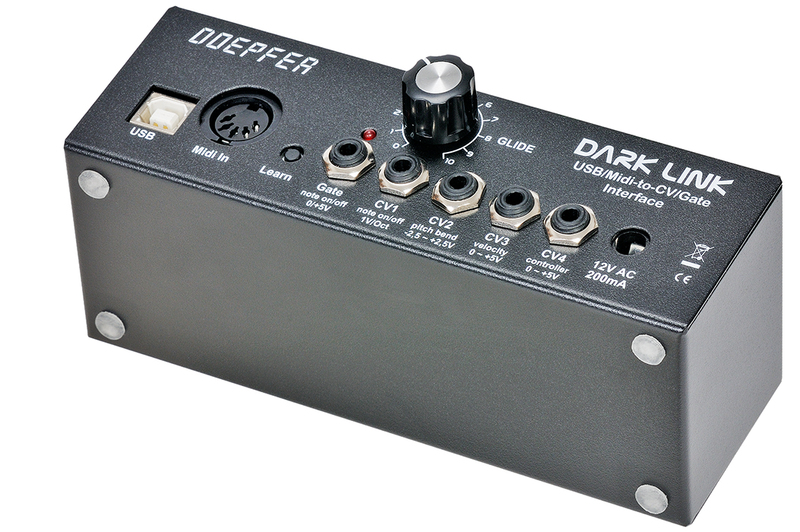 It has available 4 analog control voltage outputs (CV1...4) and one Gate output. These parts are included: one USB cable (type A-B), user's guide, power supply (12 AC/min. 400mA) for 230V mains voltage. Powering the device via USB is not possible, because the analog circuits require a dual voltage (+/-12V). 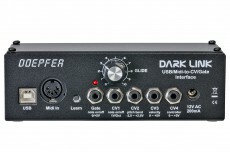 If you want to connect the Dark Link gate output to devices that use S-Trig a special S-Trig cable is available.